Everyone makes mistakes, and it’s never more apparent when something goes wrong than when you pull your load of laundry out of the washing machine. While everything may be clean, all too often, your whites can turn pink, jeans get bleached, and delicate items get destroyed or shrink. Sorting your washables before heading to the laundromat can dramatically decrease the risk of washroom disasters, but initially, the process can seem intimidating. The team at Park Avenue Coin Laundry in Dothan, AL, wants to help. Below, they explain how to properly sort your clothes, so you can avoid accidents in the wash. The simplest way to start sorting your laundry is to do it by color. Separate light colors and white clothes from dark colors or new clothes that may lose dye in the water. 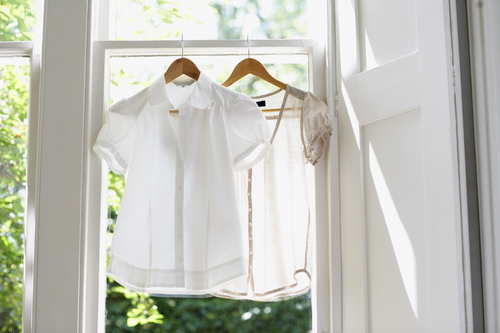 You’ll want to wash your light colors and whites together, and put the darker fabrics in a separate load. Consider using separate hampers, and sort everything throughout the week instead of at the laundromat. This will save you stress and time once you’re ready to wash your clothes. Although sorting by color is the best way to start, you’ll want to consider what your clothes and washables are made of before tossing them into the machine. Heavy-duty sheets and towels can be washed and dried on high without shrinking. However, jeans, sweaters, and shirts can shrink or get damaged by the high heat and should be washed and dried at lower temperature settings. Separate items that need to be hand-washed or dry cleaned, and keep them out of the washing machine at all times. Putting them through a standard cycle will damage them beyond repair. Sorting clothes may not be as easy as tossing everything into a single washing machine, but it will help keep your clothes looking nice for a longer time. The next time you need to do laundry, stop by Park Avenue Coin Laundry. Their clean facility and large capacity machines make getting your clothes clean as simple as possible. For more information, visit the website, or call (334) 678­-0800 to speak with someone directly.